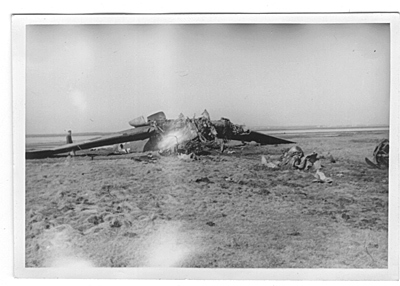 He 111P crashed at Aalborg West 22/4 1940. The aircraft belonged to 7./KG 4 and was coded ?. T/o Aalborg West Op: Norway. 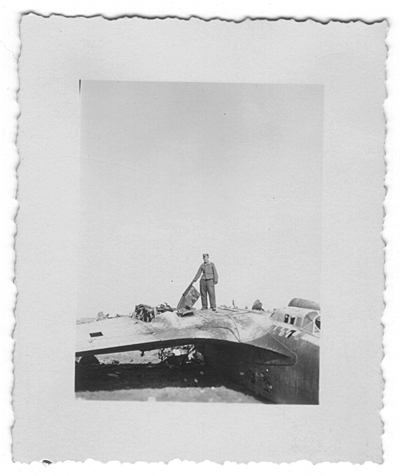 During take off the fully loaded He 111 hit a bank of earth and crashed. 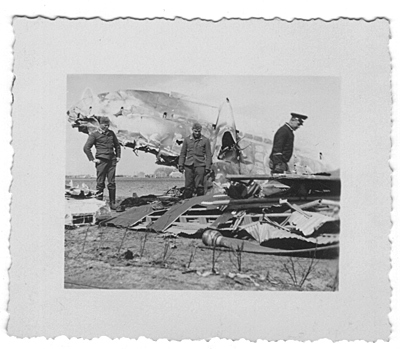 Oberleutnant Hans Joachim Zetzsche, Leutnant Hans Grotz, Obergefreiter Gerhard Nowotny and Unteroffizier Siegfried Franz were all wounded and were taken to the hospital in Aalborg for treatment. Sources: RL 2 III/884, CP.